You know I love my vegan cookbooks. I have shelves full of them to prove it. I'm a little more discriminating now when buying or reviewing cookbooks because I've run out of room to store them. But I jumped at the chance to review Olivia Biermann's cookbook, Liv B's Vegan on a Budget: 112 Inspired and Effortless Plant-Based Recipes . Why? For one, I like the vegan on a budget concept. (It's a common misconception that vegan eating has to be expensive.) But my favourite thing about this plant-based cookbook is that the recipes are super simple to prepare. Despite being the creator of a popular vegan YouTube channel, Liv B doesn't want to spend tons of time in the kitchen. I completely understand - I love food but I opt for dinners that take less than an hour to prepare. 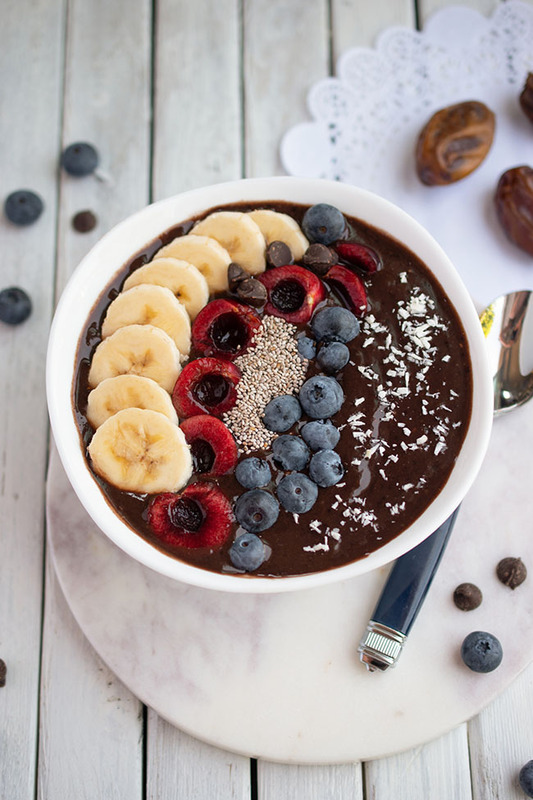 The recipes in Vegan on a Budget - from breakfast to dessert - don't call for fancy or expensive ingredients and they are quick and easy to make. This cookbook is perfect for students, beginner vegans, busy parents and anybody who enjoys everyday plant-based meals that are simple to put together. The cookbook includes icons that identify recipes as gluten-free, portable or great for gatherings. Beautiful, full-colour photographs (by Brilynn Ferguson) offer immediate inspiration to get cooking. With recipes for everything from basic Avocado Fried Toast to Chickpea Tuna Pita Pockets to Maple Curry Penne, trust me, you'll want to get in the kitchen straightaway! The first recipe we sampled from this book is Liv's Famous Lasagna Soup. I say "we" because my husband was cooking on the night in question, and I requested this soup. I couldn't resist the combo of tender lasagna noodles in a tomato broth. 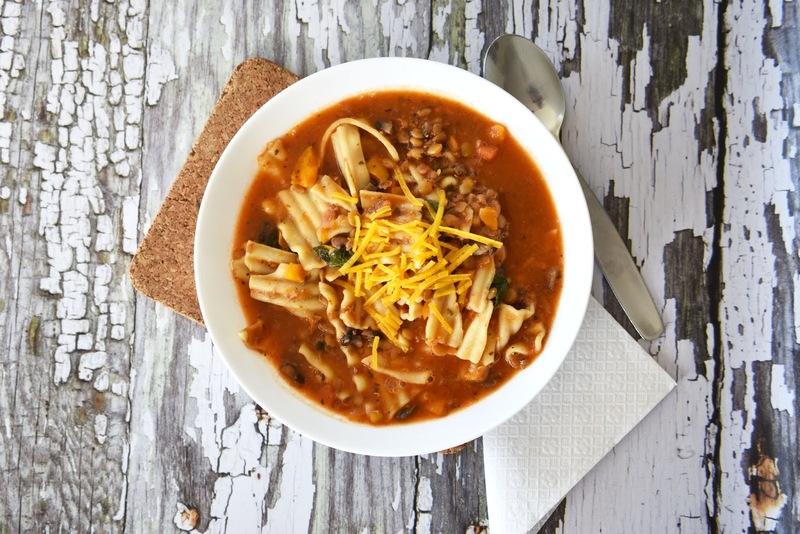 This soup didn't disappoint - it's lasagna in a pot in just half an hour! I particularly like the inclusion of fibre- and protein-rich lentils. You can top this soup with Liv's homemade ricotta but I just sprinkled some store-bought vegan cheese shreds on top for convenience. Liv is a Nova Scotia resident. My parents are originally from Nova Scotia, and I always loved my granny's tea biscuits on visits out east when I was a child. 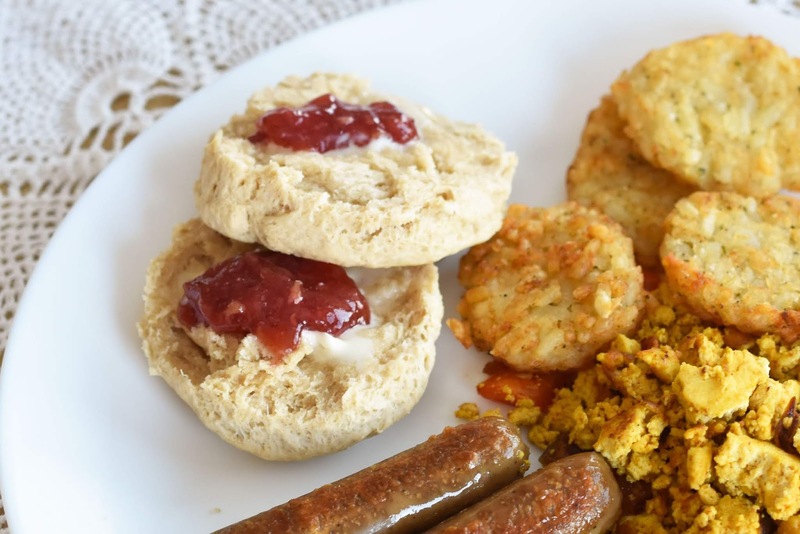 So I just had to make the Breakfast Tea Biscuits from Vegan on a Budget. They were easy to prepare and turned out pretty well. I didn't follow the recipe in that I cut them about an inch thick rather than the recommended half-inch. (Granny used to cut her biscuits really thick.) I think I would follow the recipe more closely next time because they didn't cook as thoroughly as a thinner biscuit would have. For breakfast that day, I also made the Southwest Scramble Toast, sans toast. So basically it was scrambled tofu. 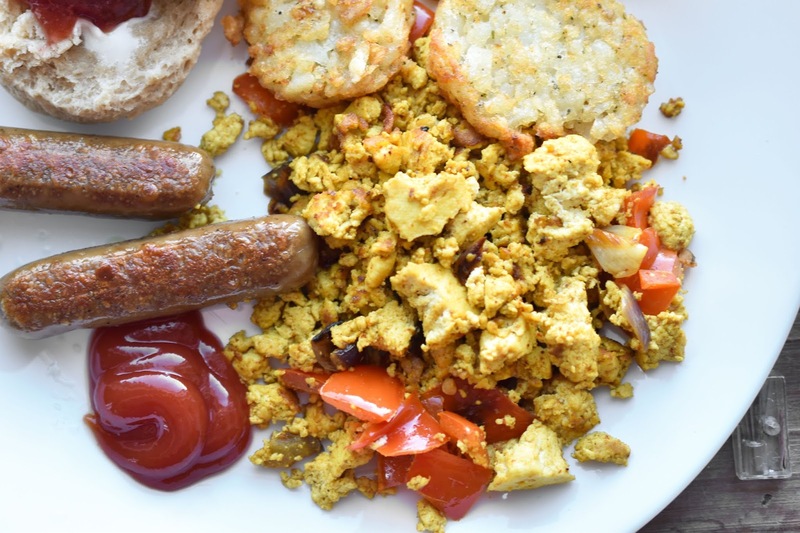 This is a tasty, reliable scrambled tofu recipe and I like the added tip of turning it into a delicious breakfast burrito by stuffing the tofu scramble into a wrap with vegan cheese, salsa and vegan sour cream. Yum. Winter being long and cold, I sampled another soup recipe - this time it was Takeout Thai Curry Coconut Soup. 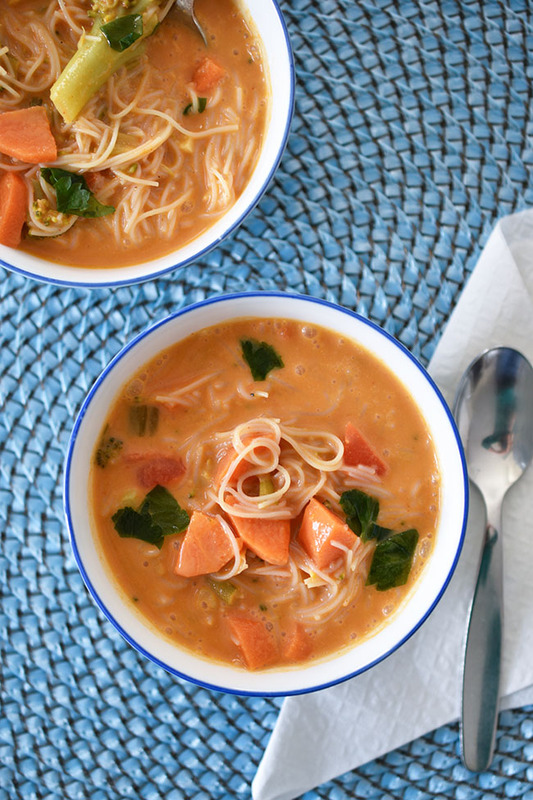 This plant-based soup comes together really easily with the help of Thai yellow curry paste, coconut milk and rice vermicelli noodles. My whole family enjoyed this, and I found the leftover soup even tastier the next day. I wasn't going to pass up the chance to try out a dessert recipe. These Chocolate Walnut Cookie Bars are part cookie, part brownie and fully delicious. These would be great for serving to non-vegan friends. They'll never know the difference! You're likely to have all of the ingredients on hand, so you can be enjoying these goodies in about a half an hour. My kids don't like walnuts so I pressed a handful into the top of half the batter in the pan, rather than stirring them into the batter. 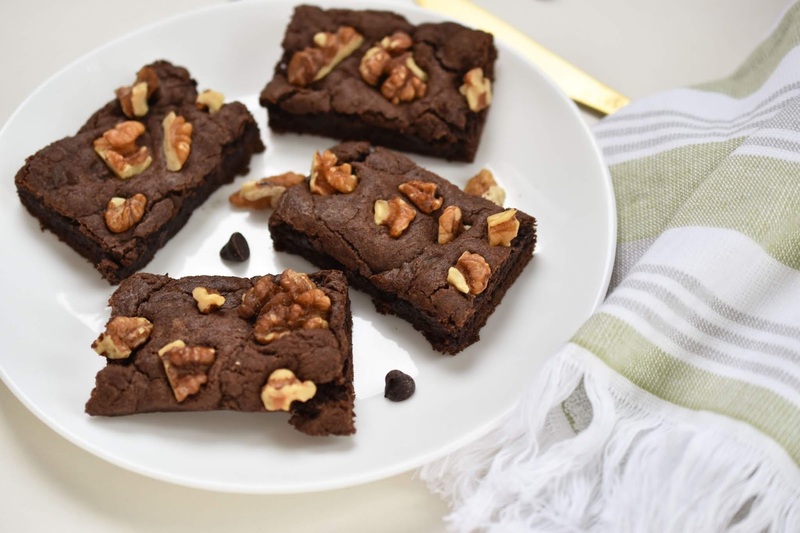 For the record, the crunchy walnuts are a perfect contrast to the chocolatey cookie bar. And there are chocolate chips in the mix too. These bars are not too sweet - just right. 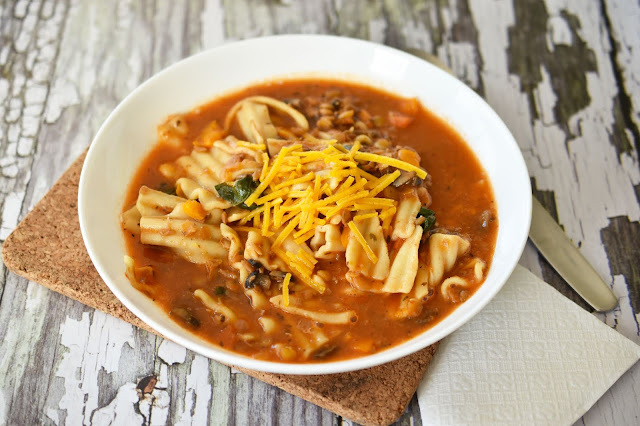 Fortunately, I'm able to share a couple of the recipes from Vegan on a Budget with you today. (Plus, you can enter to win a copy of the book at the bottom of this post.) But I recommend buying this cookbook for yourself if you just can't wait. You can also visit Liv on YouTube for more recipes. The first recipe I'm sharing involves tofu. I hope you love tofu as much as I do. 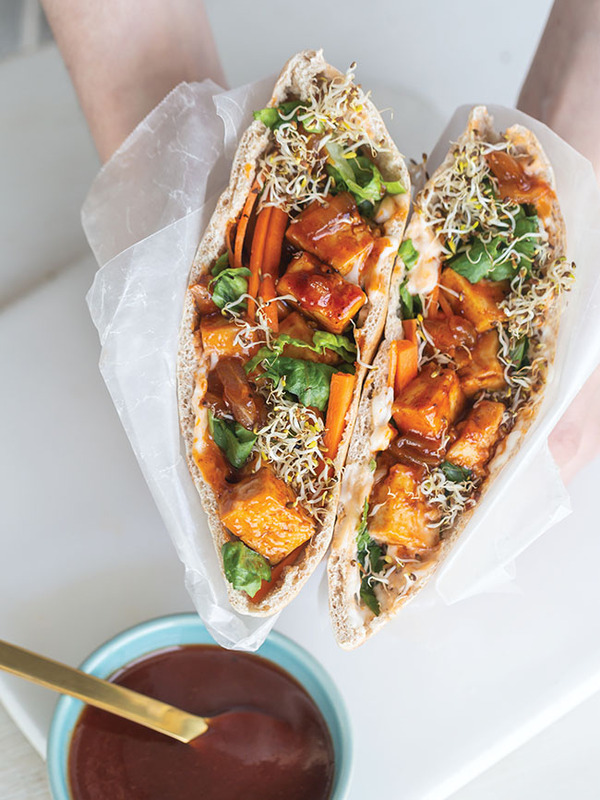 If so, these BBQ Tofu-Stuffed Pita Pockets make a great, simple, healthy lunch. And they look really pretty too. Not to sound . . . well, basic, but as a vegan I almost always have leftover tofu and a few veggies lingering in my fridge, and it can be a challenge figuring out creative ways to use them up. This recipe came about in a clean-out-the-fridge moment. To say I was pleasantly surprised with the result is an understatement, since it’s now in this book! Heat a large frying pan over medium heat for 30 seconds. Add the oil and onion and cook for about 5 minutes, stirring frequently, until translucent. Add the tofu cubes and cook for 3 minutes, stirring occasionally, until beginning to brown. Reduce the heat to medium-low. Add the vegan BBQ sauce and stir to combine. Cook for 5 minutes, stirring frequently, until the tofu is coated and the sauce has thickened slightly. Remove from the heat. Evenly divide the vegan mayonnaise, lettuce, carrot, sprouts and tofu among the 4 pita halves. Serve immediately. My Tip - The tofu in its sauce can be stored in an airtight container in the fridge for up to 4 days. Reheat it in the microwave just before serving. Store the other ingredients separately and assemble the pitas just before serving. After you finish eating that sandwich, you're going to want a little nibble of something sweet. 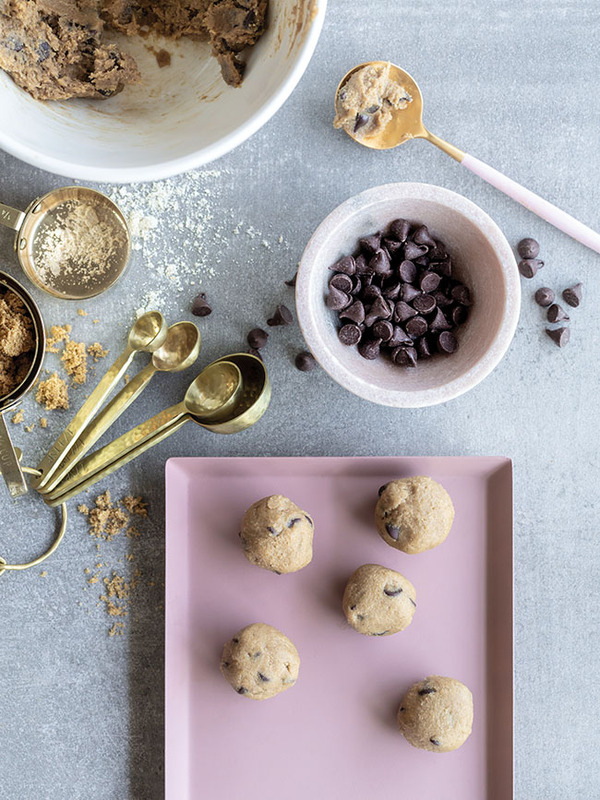 Why not make it a ball of edible cookie dough? I adore Liv's idea of serving cookie dough balls on top of pancakes too! Girls' brunch anyone? Like many kids, my favorite part of making cookies was sneaking some dough while my mom wasn’t looking. Although, thinking back, I’m sure she also sneaked in a taste of cookie dough while I wasn’t looking! This version is safe to eat raw, since it doesn’t contain eggs or wheat flour. Serve by itself or on top of pancakes, ice cream or graham crackers. Whisk together the oat flour and salt in a medium bowl. Cream together the vegan butter and brown sugar in a separate medium bowl, until smooth and combined. Add the nondairy milk and vanilla; stir to combine. Add the flour mixture to the brown sugar mixture; stir until a dough forms. Stir in the chocolate chips. Serve immediately or store in an airtight container in the fridge for up to 1 week or the freezer for up to 1 month. My Tip - If you can’t find oat flour, don’t worry! You can easily make your own by processing 13/4 cups (425 mL) large-flake (old-fashioned) or quick-cooking rolled oats in a blender or food processor until it has a fine, flour-like consistency. Use a fine-mesh sieve to sift the result, as any pieces of oat hull will need to be removed to achieve a smooth cookie dough consistency. What's your favourite budget-friendly, plant-based food? Do you have a large collection of cookbooks or a well-curated few? Enter To Win A Copy of Vegan on a Budget! 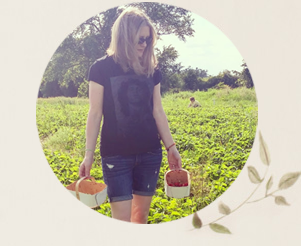 Residents of Canada and the US may enter for a chance to win a copy of Vegan on a Budget by Liv B. Enter using the widget below until March 5, 2019.
peanut butter, no question. I' be lot without it. Favorite cookbooks are the moosewood ones. I think I have all of them, even my mother's copy of the first one. I love red lentils - they are dirt cheat and can thrown into any soup, stew, etc for an added protein kick ! root vegetables, like carrots, beets, parsnips, turnips, etc! Peas is my favourite budget-friendly, plant-based food! I really like legumes for a budget friendly PB food. I like cabbages... I use them in a lot of dishes. I like the root vegetables. Recently, I've been exploring recipes involving beets and turnips. Cuban black beans and rice is a favorite here! My favorite budget friendly plant-based food is tofu! tofu and chickpeas, they're so versatile and delicious! A toss up between lentils and tofu. Like you I have a large collection of cookbooks, but have recently cut back due to lack of space. Hummus is myfavourite budget-friendly, plant-based food. Lentil soup is my fave. Warm, comforting and a family fave! Lentil soup and roasted root veggies are delicious!